Two trade unions representing security staff at Brussels Airport have demanded an urgent meeting with ministers to discuss "known security issues" at the Zaventem base. 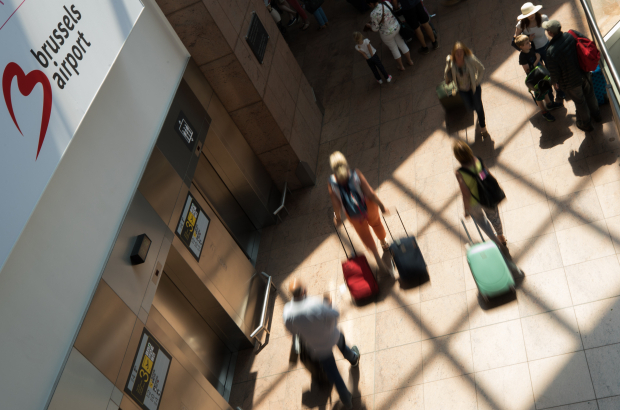 In an open letter to interior minister Jan Jambon and mobility minister François Bellot, the CGSP and CGSLB unions say there is a pressing need to discuss the protection of the airport and how security at the terminal is organised. Since Brussels Airport was privatised in 2004, several dozen security guards work under the authority of the privately-owned Brussels Airport Company. Airport security should normally fall under the control of the federal police's new Directorate of Protection, which also has responsibility for royal properties, nuclear sites and the transport of prisoners. The unions say in their letter that there are "known security problems that have not been resolved" since the 22 March 2016 terror attacks at Brussels Airport and Maelbeek metro station. "No discussions have yet taken place between the trade unions and the ministers over the transfer of security inspectors to the new unit within the federal police. It's time to bring the right people to the table," the letter concludes.